Discover Holidays Limited, which also trades as DisabledCruiseClub or DisabledHolidays.com (“we” or “us”) arranges cruise holidays and other holiday components (the “service”) as an agent for the cruise lines/suppliers of the service (the “supplier”) and therefore your contract is with the supplier and not DisabledCruiseClub insofar as the provision of the service is concerned. All bookings are subject to the terms and conditions of supplier which can be made available on request. 2.2 - A binding contract between the person making the verbal booking i.e. Lead passenger / representative will be made with DisabledCruiseClub. This contract is accepted by above with immediate effect. A holiday confirmation will be sent by the admin team approximately 7 working days after the booking has been made, dependent on the season. 2.5 - We reserves the right to refuse a booking without giving any reason. 3.1 - The balance must be paid no later than sixteen weeks before departure. Failure to pay the balance on time will constitute a repudiation of the contract by you and cancellation charges will become payable in accordance with paragraph 6. 3.2 - If you book a service less than sixteen weeks before departure, the full price for the service will be payable at the time of booking. 3.3 - Late payments are subject to a late payment fee of £25. You will be advised of the balance due date at the time of booking and will receive a written confirmation after booking, and will receive a balance due reminder shortly before the due date. 4.2 - When the commission we receive from the supplier is insufficient to cover the costs of arranging the guests holiday we reserve the right to add a booking fee. 5.1 - Whilst we and the supplier will do our best not to cancel or to make any significant alteration after a booking has been made, we shall nevertheless be entitled at any time prior to departure to cancel the contract or to change and/or curtail the package where this reasonably becomes necessary on operational, commercial or other grounds. We will inform the lead passenger of any such cancellation or change of package as quickly as possible (with, where appropriate, written confirmation as soon as reasonably possible thereafter). If the cruise line make a significant alteration to the package we will inform the guest as soon as reasonably possible. Each cruise line has different conditions on alterations and these will be laid out clearly by our admin team or travel agent. 5.2 - IMPORTANT NOTE: compensation will not apply to circumstances beyond our control (force majeure). We can cancel the guests holiday in the following circumstances: technical problems, war or threat of war, terrorist activity or the threat of terrorist activity, riots, civil commotion, disaster, act of God, natural and nuclear disaster, fire, closure of ports, strikes or other industrial action, medical problems on board the ship or at intended ports, including, in each case, incidents of infectious or other diseases or illnesses, lawful deviation at sea in response to a distress call or other emergency and adverse weather conditions. 5.3 - After departure, it is not guaranteed that the ship will call at every port on the itinerary or follow every part of the advertised route or schedule or that every part of the package will be provided. The supplier reserve the absolute right to decide whether or not to omit any such port(s) and/or to call at additional ports and/or to change the advertised route, schedule or package. If the cruise is unable to provide a significant proportion of the package, it will make suitable alternative arrangements, at no extra cost, for the continuation of the package. If the guest does not accept them, for good reasons, or, if it is impossible to make suitable alternative arrangements the supplier will, where appropriate, provide the guest with transport back to the place of departure or to another place to which the cruise line and the guest have agreed. In both cases the cruise line will, where appropriate, compensate the guest. Please note that compensation will not be payable if an alteration is minor or if they are not able to provide a significant proportion of the package due to force majeure. 6.1 - All cancellations must be notified by phone in the first instance. The guest will then need to confirm in writing to our office by email admin@disabledholidays.com or by post to Disabled Cruise Club, 163-167 King Street, Dukinfield, SK16 4LF by the lead name on the booking and should be marked ‘URGENT – CANCELLATION NOTIFICATION’. The guest must keep a copy of the cancellation notification in case of discrepancies. The cancellation date will be from when the notification is received by us and this will be acknowledged to you. 6.3 - Cancellation due to the guest changing their mind will incur cancellation charges. We strongly advise you take out an insurance policy which provides adequate cover for your trip. Upon receipt of our booking confirmation please check the details to make sure they are correct. If, after your booking has been accepted, you require us to amend it in any way, or to re-invoice you, we reserve the right to charge an amendment fee. If you change the cruise to a different sailing this will be treated as a cancellation and a new booking and cancellation charges will occur. 8.2 - Suppliers reserve the right to make modifications that are considered necessary in the light of their operating requirements. In the interests of continued improvement, suppliers reserve the right to alter furniture, fittings, amenities, facilities or any activities, either as advertised or previously available, without prior notice. 8.6 - Tender ports - Some ports will not be accessible for a wheelchair user due to them being a tender port. In order to board the tender, please note that you will be required to use steps and navigate the gap between the platform and the tender. Anyone wishing to board the tender will need to demonstrate this ability via a mobility test prior to tender embarkation. Please note some ports may not be classed as a tender port however due to the weather conditions they will be changed to a tender port for safety of guests. We are not liable for any of the ports changing to a tender port and therefore you not being able to get off the ship. Guests are responsible for ensuring that they arrive in plenty of time for check in for flights to/ from the ship including any interconnecting flights. Guests are responsible for checking with regard to any delay/cancellation of flights. DisabledCruiseClub do not hire or arrange equipment. We can provide the guest with a mobility equipment hire contact, this is to be arranged and paid direct. We are not liable for any incorrect equipment hire, or any equipment that fails to work. Your equipment hire contact is direct with the supplier. 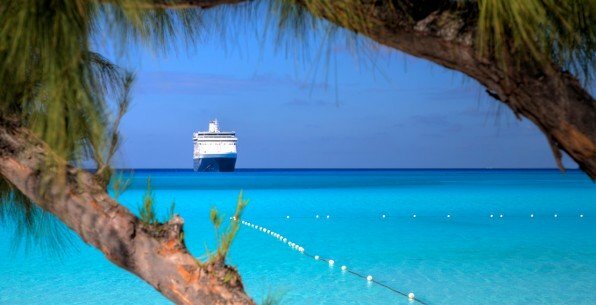 In the unlikely event that you are disappointed with the service(s), you must first contact a cruise line representative or the service provider (transfers, mobility equipment, excursions) who will try to solve the problem whilst on holiday, where this is not possible, you should contact us. Please see our website for office opening hours. If after that, you still feel that the problem has not been resolved to a reasonable satisfaction, you should as soon as possible and in any event within 28 days of returning from your holiday, call our office to advise of the complaint and put your comments in writing to us and we will deal with it accordingly. Failure to report the complaint within this time may adversely affect ours and the suppliers ability to investigate and deal with it and may prejudice any future claim. If you fail to notify us of a problem with your holiday until you have returned you may lose any rights to compensation – it is important we are notified of a problem immediately and given the opportunity to find a resolution whilst you are on holiday. 12.1 - As we are only the agent of the cruise line/ supplier we do not accept liability of any nature whatsoever. 12.2 - As the agent of the cruise line/supplier we are instructed to inform the guest that they accept no responsibility for the death of or personal injury of you or any person named on the booking form or any other person, unless this results from the proven negligence of the supplier or his agents or employees. 12.3 - We shall not be liable for any loss, breach or delay due to any cause beyond our reasonable control, including though not limited to, an act of God, explosion, flood, tempest, fire or accident, war or threat of war, civil disturbance, acts, restrictions, regulations, byelaws, or measures of any kind on the part of any governmental or local authority, strikes, lockouts, or other industrial actions or disputes or adverse weather conditions. In any such case, the contract may be treated as discharged. 12.6 - Without derogating from the generality of 11.1, neither the supplier nor we are responsible for noise or disturbance originating beyond the boundaries of what is beyond our control. • through the ship’s doctor and/or his staff, administer any drug, medicine or other substance of a similar nature, or admit and/or confine the guest to a hospital or any similar institution at any port as the ship’s doctor may consider necessary. Any valuable left on the cruise or on an extra service booked is left at your own risk. Without prejudice to clause 11 above, neither the cruise line/ supplier or DisabledCruiseClub are responsible for the loss of these items. We accept no responsibility for any loss, damage or consequential losses due to theft or any other security related incident howsoever caused. All contractual obligations arising out of these booking conditions shall be interpreted in accordance with and be subject to English law and you agree to submit to the exclusive jurisdiction of the English courts.